The last communication of the European Transport Workers’ Federation (ETF) forwarded on 19 September by Cristina Tilling, the political secretary of this organization, to the members of the European Parliament, may be a big surprise for Eastern European trade unionists representing drivers. 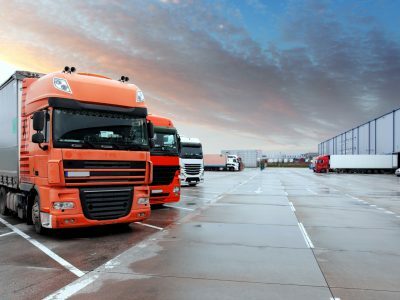 It contains a number of solutions to be taken into account in the Mobility Package, including a proposal to apply posting regulations only to selected international road haulage. So far, ETF representatives in virtually every statement have argued that their involvement in the Mobility Package is due to concern for the „exploited” drivers from the countries of Central Europe, the Baltic States and the Balkans who work in „inhumane” conditions. Occasionally, there were blunders, like opposition to the development of roadside parking and social infrastructure, which they compared to building prisoners for criminals. Nevertheless, the main narrative was fairly consistent. For the employers, it was clear from the outset that ETF proposals and initiatives are aimed at jobs in the previously mentioned „younger” EU countries, and European trade unionists are about protection and job creation in the countries of the „old” Union. What boils down to taking away the market of international transports from Poland, Lithuania, Hungary, Romania and other countries, whose carriers collectively make more than 60 percent of all transport operations in Europe. 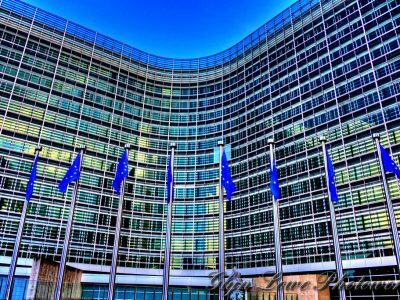 Currently – in the communication sent to the European Parliament – the true intentions of European trade unionists were revealed. Cristina Tilling recommended the adoption in the Mobility Package of the so-called Danish model. It comes down to the total inclusion of cabotage and so-called cross trade into posting regulations. However, all bilateral transport would be entirely excluded from the European provisions on posting. Recall that cross trade is a cross-border transport with loading and unloading in third countries. Thus, it turned out that the previously declared concern for our drivers does not exist when they perform even the longest international transport from or to their own country. However, if they try to enter another market under the EU freedom to provide services, then their fate will become important for their European federation again. Well, a little bit coherent and completely inconsistent with the union’s social point of view. However, if we look at it from an economic perspective, it turns out that the ETF supports those solutions that are dictated by narrowly understood protectionism. The Danish model is not just selective treatment of the single market and obvious protectionism. It is also a violation of the next fundamental principle of the European Union, which is the freedom of trade in goods. For example, freight transport between countries with higher GDP (and thus higher wages) would cost much more than shipping goods from a rich EU country to a country with a lower level of economic development. It is obvious! In all this hustle and bustle associated with the discussion about the Mobility Package, it turns out that the biggest defenders of the European Union and the principles on which it was built are Eastern European Unions such as Transport and Logistics Poland. Nobody understands better the European economy than logistics and carriers whose services ensure its functioning. That is why we say strongly: the Danish posting model is a bizarre, harmful and unjustified. This proposal should never be the subject of a fair European discussion!